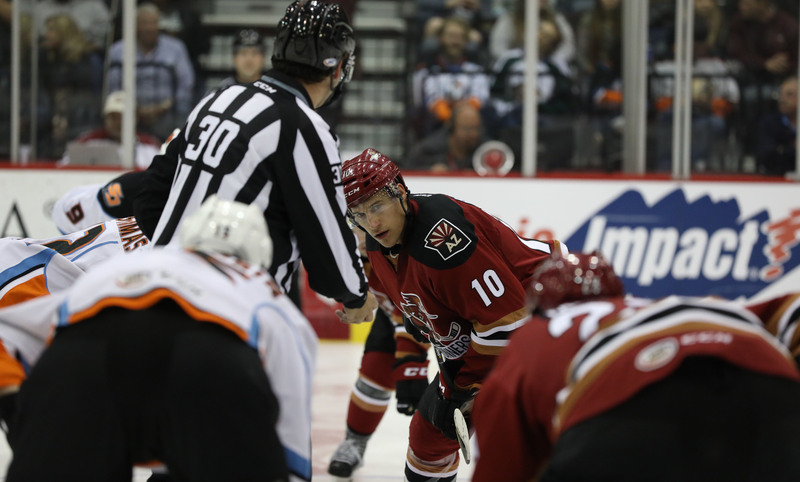 The Roadrunners fell to the San Diego Gulls by an 8-2 score Friday night at Tucson Arena. They remain winless against the Gulls on home-ice; now 0-5-0-0 against their Pacific Division rival in Tucson this season. San Diego scored three goals in the first four minutes of play, and six total in the opening period. The Roadrunners struck for a goal of their own at the 9:08 minute mark of the first when Jeremy Morin corralled a Ryan MacInnis faceoff win, beating San Diego’s Jhonas Enroth with a wrist shot from the top of the right circle. Just under five minutes into the second, the Gulls took a 7-1 lead. At the 9:02 minute mark of the second, Laurent Dauphin jammed home a rebound past Jhonas Enroth to give the Roadrunners their second goal of the evening. Andrew Welinski scored the eighth goal of the night for San Diego in the opening moments of the final frame – his third of the evening to record the first hat-trick in Gulls history. Marek Langhamer, who was pulled four minutes into the game and inserted back into the contest to start the third, stopped 9 of the 12 shots he faced. Adin Hill made 13 saves in 35:57 minutes of relief of Langhamer. The Roadrunners are now 2-9-0-0 in 11 games against the Gulls this season. Chris Mueller, with his assist on Laurent Dauphin’s second period goal, now has 58 points (15G, 43A) on the season, just two shy of his career-high of 60 that he attained during the 2011-12 campaign with the Milwaukee Admirals. 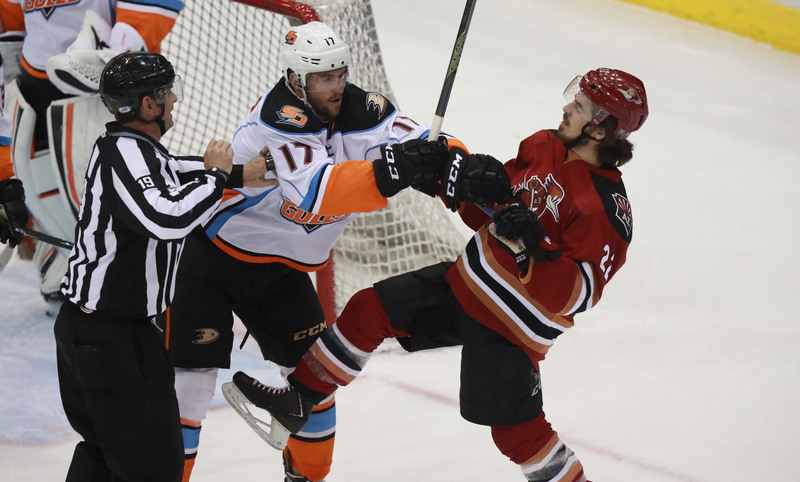 The team will close-out their five-game home stand Saturday night when they host the San Diego Gulls at Tucson Arena, where the puck is scheduled to drop just after 7:05 PM.